No job is too small for Mr. Refinish. Cracked shower floor? Peeling tile walls? Outdated sink and bathtub color? 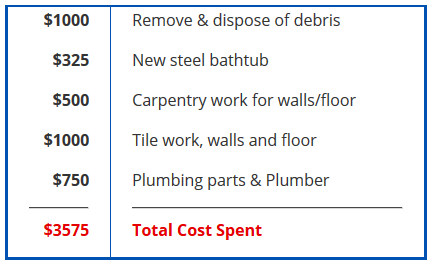 Let us revamp your bathroom at a fraction of the cost. You don't need to spend outrageous amounts of money to have your bathroom look like a million bucks. 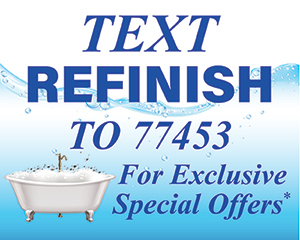 *Refinishing your bathtub or shower is often cheaper than replacing it. Contact us today to learn more. 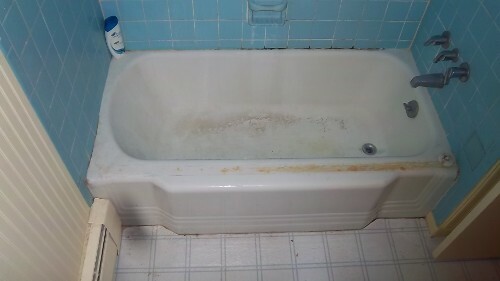 WE ARE NOT A HANDYMAN SERVICE - All we do is bathtub and tile refinishing. This is OUR Business. • The bathtub is scrubbed clean with a powerful detergent that will remove any soap film, buildup, or residual film left behind by household cleaners. 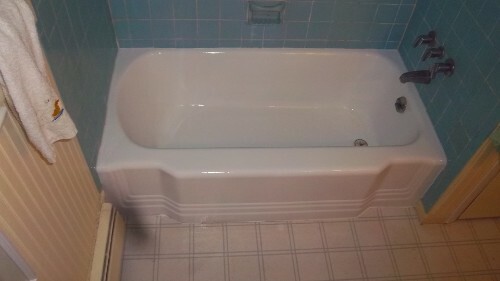 • The tub is rinsed and dried completely using a high-temperature heat gun to remove all moisture. • A primer and bonding agent is used to ensure the paint adheres to the bathtub. • Slip resistant surface can be applied at this point in the reglazing process - ask us how it will benefit you in the long run. • High Gloss Acrylic Urethane topcoat is applied. A ventilator is used during the reglazing process to help remove over spray and fumes from the bathroom area. This piece of equipment is placed in the window of the bathroom. If there is no window, a hose is attached and directed to the nearest window or door. All materials are applied using an HVLP spray system.